The Will: Bend it? Break it? Develop it? 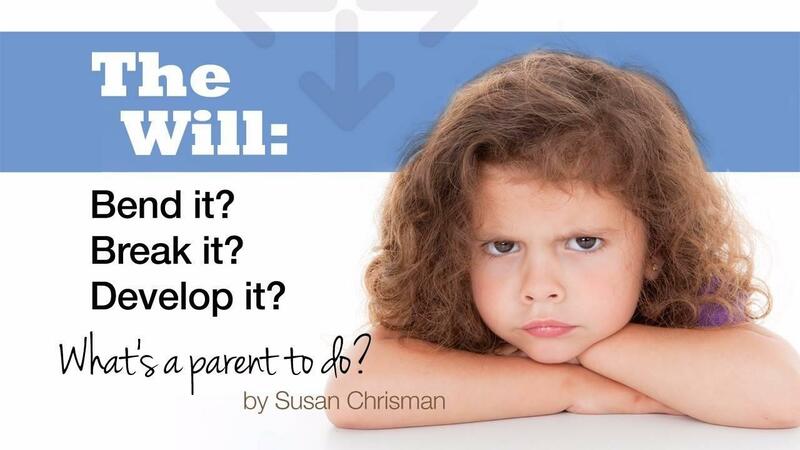 Discover how to relate to your strong-willed child. Understand why your child reacts against you. Help your child develop the strength to choose what is right. Discover specific, age-appropriate tips for training your child's will. Learn how to initiate real and lasting change in your child. Imagine: No more going head-to-head with a stubborn child! You can have a deeper relationship with your child. You can experience a more peaceful home life. Eighteen short video lessons realistic to your busy schedule. Quick reference notes of the main points of the lesson. Practical ideas to help you apply what you learn. Age-specific ideas of how to teach important concepts to your children. Audio version and transcripts provided. If my children are not necessarily strong-willed, would I benefit from this course? Yes! The truths and priciples I teach are relevant and practical for every parent. What you learn will guide you to a deeper and more meaningful relationship with your children. I work with children, but am not a parent. Is this couse applicable for me? Yes. Anyone who works with children will find the course helpful and useful in understanding the will of a child and how to help direct a child to true power of will. Does this course require a large time commitment? No, the eighteen videos are short. You will want to be sure to reserve time to work through the application of the lessons to truly benefit from the course. Can I work at my own pace? Yes, you will have full access to the course immediately upon payment. I encourage you to work through the applicatons before moving to the next lesson. How long will I have access to the course? You have lifetime access. Eighteen short video lessons realistic to your busy schedule. Quick reference notes of the main points of the lesson. Practical ideas to help you apply what you learn. Age-specific ideas of how to teach important concepts to your children. Audio version and transcripts provided.